This was a site built during [email protected] 2017, a hackathon at Brown University, with three teammates (Beatrice Huang, Vanessa Gregorchik, Tia Thomson). 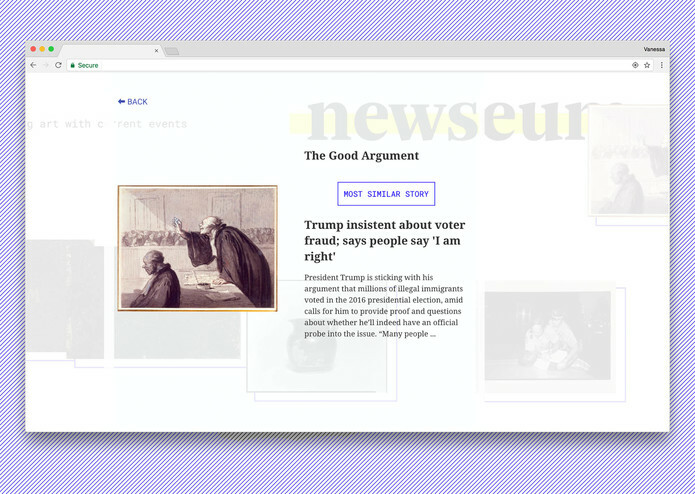 It displays a set of images from the Harvard Art Museum API, and when users select a piece, it displays a thematically similar current events news headline. 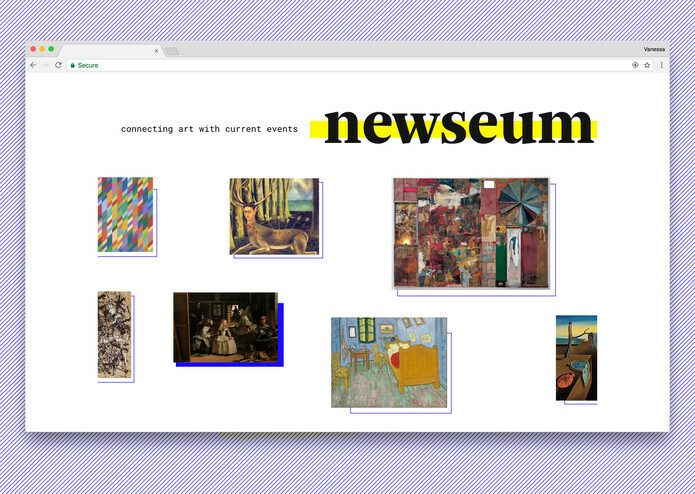 We wanted to make browsing the news akin to browsing an art gallery.